The ladies tug of war was reported to be a very amusing innovation. And talk about “the tie that binds”…they’re using actual rope! One way to interpret that theme is “those who play together, stay together.” Whether it was a picnic or dance party, celebrating together connected people. A notable example from the Valley’s past was the May 24, 1916 festivities at Comox Goose Spit prepared by the 102nd Battalion. 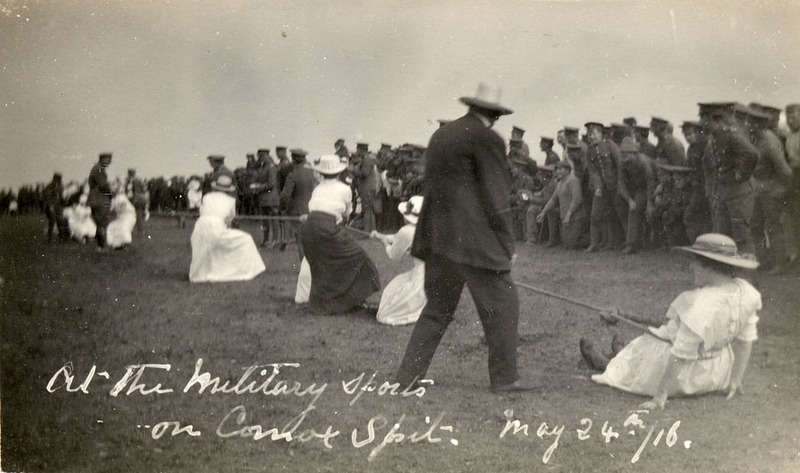 The Courtenay Review newspaper of May 25 recounted that the soldiers decorated the grounds, provided refreshments and set a programme of sports to entertain the civilians.